Rk Residency is a budget friendly property with modern and tasteful interiors, located in Hari Nagar, Delhi. The place is close to BE Block Hari Nagar Bus Stop, Metal Forging Bus Stop, Tagore Garden Metro Station and Delhi Cantt Railway Station. There is an in-house restaurant and a stylish dining area especially for guests. The rooms are furnished in a modern manner and are done up in light tones. The bathrooms have contemporary fixtures. 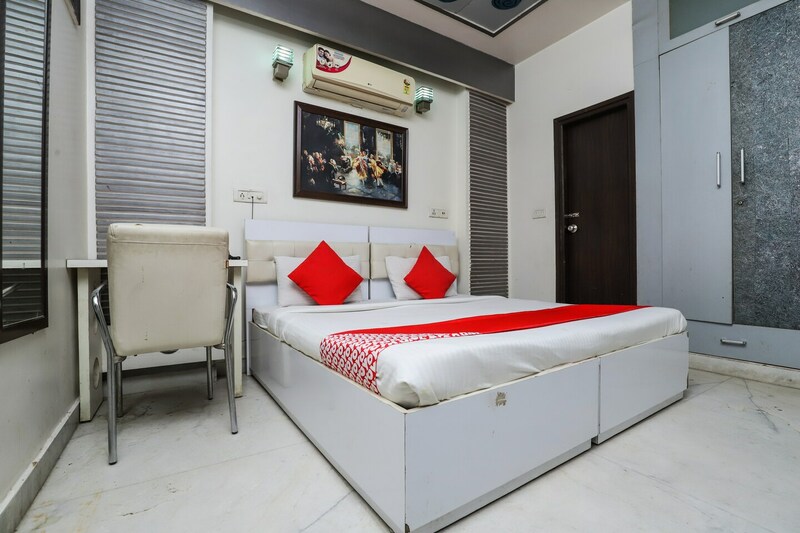 The rooms of Rk Residency are equipped with an air conditioner, a seating arena, a television and a queen sized bed. The property offers free 24*7 Wi-Fi and power backup service to the guests. In order to ensure security, CCTV cameras are installed throughout the hotel. Tourist spots like Lodi Garden and Khan Market are in close proximity to the property, whereas Apna Dhaba, Spicy Tadka, and Pine House Cafe and Restaurant are the nearest food joints.